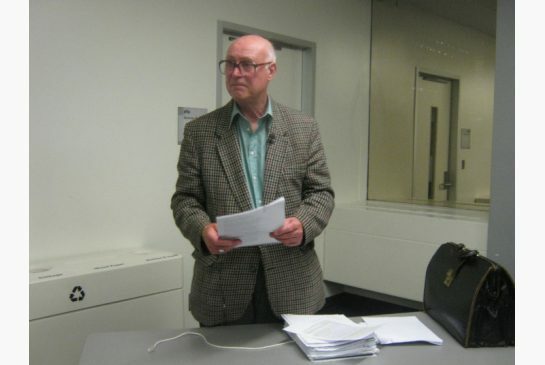 But Barrie Trower, a British physicist who carried out research for the Royal Navy and military intelligence into the effects of microwave radiation, has come out of retirement to exhort bodies such as Health Canada to heed his life’s work. Other than those with “electrosensitivity” why are children so susceptible to illness from Wi-Fi? “Children are physiologically and neurologically immature. It takes years for the blood-brain barrier to form, leaving children more prone to cell-leakage from microwave radiation. And a person’s immune system, which fights off damage, takes 18 years to develop. In all of the schools I have visited around the world with Wi-Fi, every one has reported the same symptoms in students: fatigue, headaches, nausea, chest pain, vision problems.